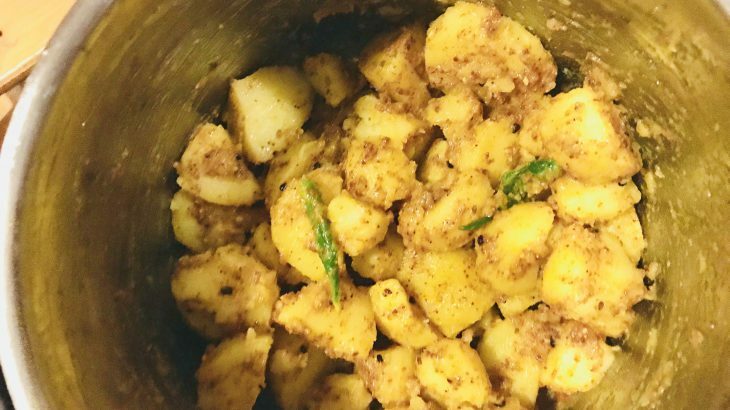 Aalu Achar is a Nepali dish prepared with potatoes, sesame seed and other ingredients. People eat this as a delicacy for snacks. This is well-known among the Newari people in Nepal. Special thanks to Anita for sharing this delicious recipe with us. 2. 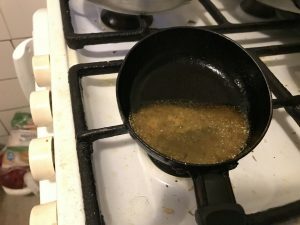 Take a small pan , put oil and let it warm. Add fenugreek seed , let it crackle. Add chilli and turmeric powder. 3. 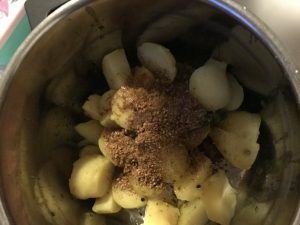 Leave it for 10 seconds and mix it with potatoes . 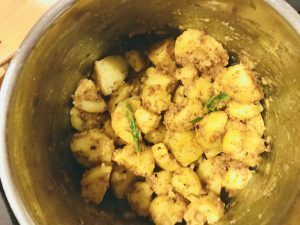 Mix grinded sesame seed and lemon with potatoes, and add two tsp water . Mix it properly and garnish with coriander leaves.